winner of the 2017 Syndey Myer Fund Australian Ceramic Award ! Despard Gallery congratulate Jenny Orchard, winning the 2017 Myer Fund Ceramic Award at the Sthepparton Art Museum, with her work ‘The Imaged Possibility of Unity’ . SAM’s SMFACA is the premier national award for Australian artists working in ceramics with a $50,000 prize acquisition. Jenny Orchard have been announced the winner at the opening night of the exhibition, this Saturday the 17th of June. 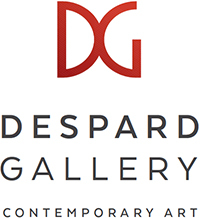 Despard Gallery have proudly represented Jenny Orchard for over twenty five years. Since all this years, Jenny Orchard unique and metaphorical creations, never missed to take us through many fantastic journeys..